I just love me some lipstick. Any shade gently run across the lips can change an outfit, an ambiance, a conversation, a day. 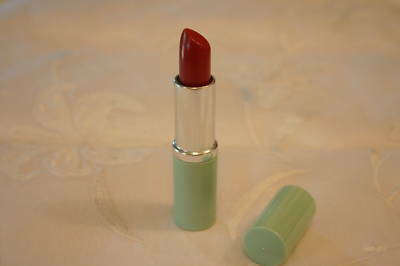 The first lipstick I played around with as a girl was, as most young girls, my mother’s signature color. Clinique’s “A Different Grape” was my initiation into the female ritual of the painting of the face. Since then, I have gone through many a phase- Parisian pinks, ruby reds, shimmery silver frost (circa 1997, feel me?). On a recent visit to my mom’s I came across a stick of this shade and tried it on for old times’ sake. When replacing the cap the name caught my eye and settled in in a new way. “A Different Grape” encompasses an idea I have pursued over the past few years – relishing in the knowledge of grape varieties apart from the usual. There are hundreds and hundreds out there, too many for most of us to wrap our minds around. This little post is meant to celebrate a handful of those different (and delicious) grapes. From a genetic standpoint, they are all in the species of vitis vinifera, the genus which most every variety that can be found in a wine bottle belongs to. At the core, each variety hasn’t wandered far from its roots, and is a specialty of its home region. Fortunately, more and more are making their way to American shores. Discover them in the nooks and crannies of progressive wine shops, request them at not-so-progressive wine shops, and purchase them through online wine buying sites. Take them into your world as you would a fresh vocabulary word, gadget, recipe, or song…one at a time. Fer Servadou– A red variety found primarily in Southwest France, notably in Marcillac. Sage and soft yet distinct spice on the nose, moderate yet mellow tannin, holds the potential to make shamelessly rustic styles. A few prodcers include Domaine de Genouillac, Domaine du Cros, and my personal favorite, Causse Marines. Blauer Portugieser– This red grape is most widely cultivated in Austria and Germany, where it grows prolifically (its relation to Portugal is questionable). The wines it produces are often lean in body with a healthy amount of acidity- usually simple and steady. Rosé and sparkling wines made from Portugieser can be absolutely charming. Producers include Weingut Fischer and Weingut Eugen Friedeich Hambacher. Schloss Muhlenhof makes both still and sparkling versions that I highly recommend. Erbaluce- A white variety native to Italy’s northwest region of Piemonte, more specifically to the Canavese Valley and its town of Caluso. Its acidity is affably high, and its body unctuous, with notes of lemon, lime, and fresh thyme. Erbaluce makes delightful still, sparkling, and passito style wines. The area for its production is relatively small, and the number of its producers are few. So when you come across a bottle, it is worth your while to give it a try. Producers include Orsolani and Ferrando. Ruche- An exotic-natured red variety native to the Monferrato Hills of Piemonte, Italy, located just between the cities of Asti and Alba. On the nose, Ruche presents sage and orange peel, gardenia and geranium. On the palate, it offers a symphony of red plum, lavender, and savory spice. The grape unvinified is pretty high in sugar and so the wine it produces usually tends to be high in alcohol, though not in an unattractive way if made properly. In Castagnole, where Ruche is king, it is traditionally paired with slow-roasted light meats such as pheasant and rabbit. Producers include Luca Ferraris, La Mondianese, and Cascina ‘Tajvin. Piedirosso- A red variety that has been cultivated in the region of Campania, particularly in the area surrounding Naples, for generations. Piedirosso was brought to this area, as many things were, from Greece. When still on the vine, the grape indicates that it has reached full ripeness by the transformation of the color of its stems to a shade of russet-red. Piedirosso literally translates to “red feet”. The wine that it makes is unquestionably one of its southern Italian terroir- red stewed fruit, fall spices, and game on the nose and palate, medium in body, with more than a hint of smokiness resulting from the volcanic soils where it is cultivated. Some producers include I Pentri Castelvenere, Terradora, and the lovely La Sibilla. Weingut Fischer and Weingut Eugen Friedeich Hambacher are easily #1 and #2 on my list of favorite wine producers named Weingut. Great job. I’ll be checking daily for new posts. 1 – cool stuff, cath. i’ll be checking in and hoping you can lead me to some diamonds in the rough. 2 – ahhh haacke. that first sentence in your post almost makes me want to ask kristin to sleep on the couch when you come in December. I love wine, lipstick, and grapes of cath:) its great!